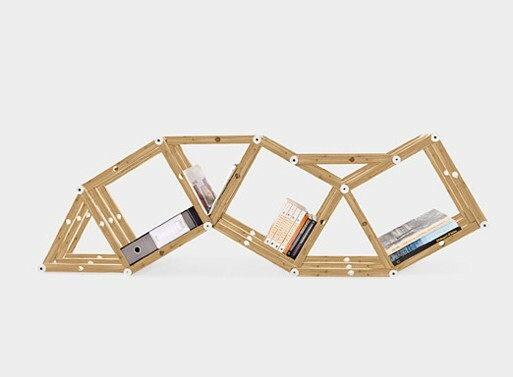 Let’s face it, modular shelving systems are not pretty. Usually they look cheap, and if they don’t, it often means there’s a hefty price tag attached. Now, this system from Bambica has a little bit of an Erector Set feel thanks to the rods held together with plastic pegs, yet the bamboo saves it from looking too college dorm room-ish*. 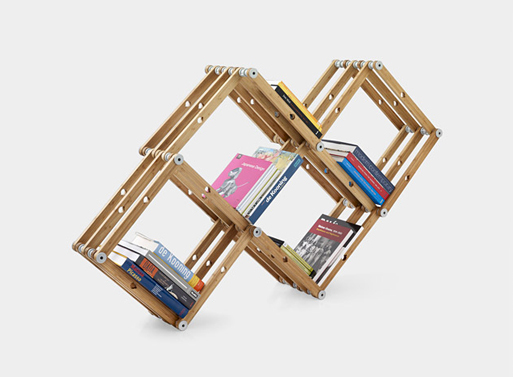 There’s fifty bamboo pieces in all, and you can combine sets to expand the system.